This must be one of the most stunning lamps that we have had. 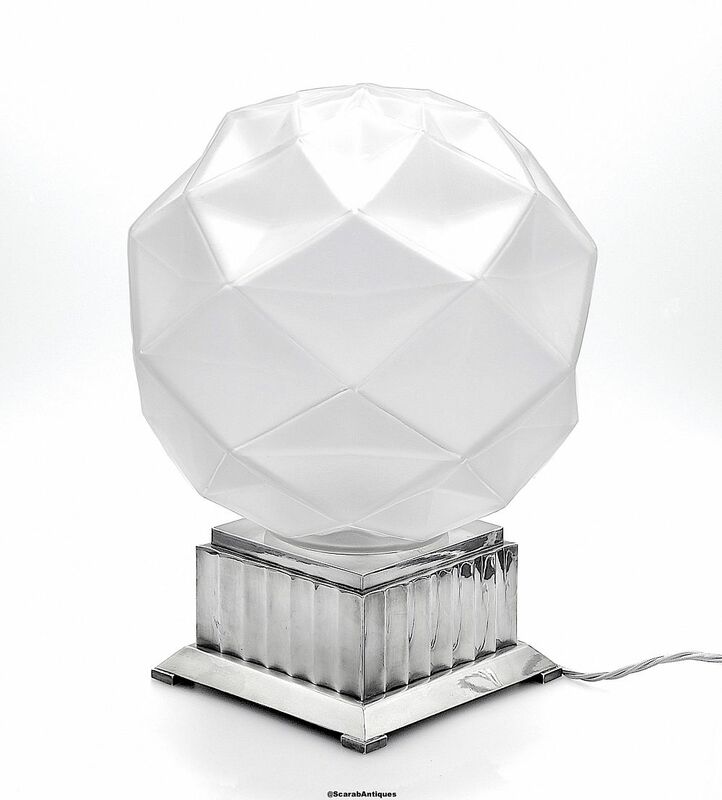 Made by the French company Gene Michon during the Art Deco period the square corner feet support a sloping square base beneath a square crenellated top with a further open topped square tier into which the large frosted geometric patterned spherical glass shade fits. One side of the base is inscribed "Genet Michon".